Kindmarauli grape – a sweet vintage red wine made from Saperavi grapes. 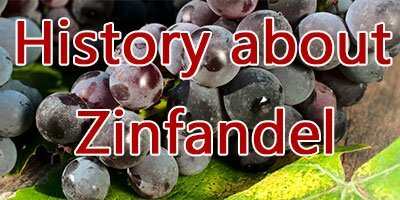 Kindzmarauli is a sweet vintage red wine made typically from the Saperavi grapes. The Sapevari grapes have their names from its exterior, which literally translates to paint dye, which is given to it due to its intense dark red colour. This pink fleshed dark skinned grape is quite acidic and a teinturier type of variety which is native to the Georgia region. In fact, in the Georgian region, this grape is typically used for making distinctive and unique wines along with grape varieties like the Alexandreuli and Rkatsiteli. Synonyms for this grape include DidiSaperavi, Kleinberiger, PataraSaperavi, Saparavi,NerkiKhagog, Saperaibi,Sapeavi De Kakhetie, Saperavi de Kachet, SaperaviPatara, Sapeur, Saperavi de Kakhetie, Sapperavi, Sapperavy, Szaperavi and Scoperawi. The grape variety is typically grown throughout the Caucasus region which happens to be a crossover between the European and the Asian continents. This grape is also grown in some of the regions of the former Soviet Republic. This grape is grown in some parts of Eastern Europe, Finger Lakes AVA region of New York state and Victoria state in Australia. However the best yield comes from the Kakheti region of Georgia which falls near the eastern border of Azerbaijan. This grape originated in the Eastern Georgian region of Kakheti and is spread throughout the entire territory of Kakheti, Saingilo, ShavshetKlardjeti, Imereti, Kartli, Guria, Racha and Lechkhumi. Georgia is known for its ability to make wines since old times with archeological research showing proper evidence of this region being under cultivation from 6000 to 5000 BC. This grape variety is one of the oldest varieties to be converted to wine and has been one of the most important cogs in the winemaking industry of Georgia. These grapes typically have leaves which are three lobed, unlike the regular grapes and the leaves are large and roundish. Amongst the leaves, lay the berries which appear medium to large and have an elliptic shape, while being skinned and appearing dark bluish. This grape has a maturation period of around 5 months with moderate level of productivity. This grape variety is known for being one of the hardest varieties, having the ability to withstand extremely cold weather. This grape variety is very popular for its ability to grow in the high altitude regions and inland regions. Being a late ripening variety, this grape grows really well in cooler climates of Eastern Europe and produces generous yields without compromising on quality. Kindzmarauli is an extractive wine having a typical characteristic bouquet and a harmonious taste with pleasant astringency. Typically the strength of this wine is 10.5-12.5% and a titrated acidity level of 5-7%. This wine is a deep red wine which has the potential age really well. 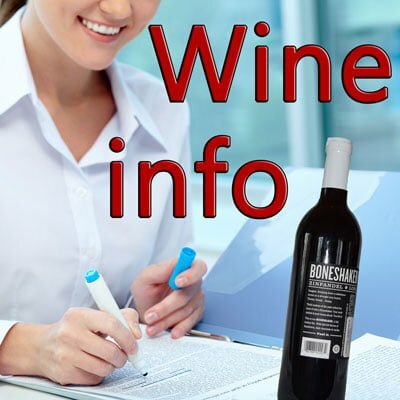 This wine has high alcohol levels and the grape from which this wine is made is used extensively for the purpose of blending with some of the other lesser known grape varieties. This teinturier grape, containing red anthrocyanins within the pulp and the skin is rarely used in making single varietal wine with the grape, due to its ability to bring out intense colours and marked acidity levels in the wine, being used extensively fir producing cheaper blended wines. However, in recent decades, this grape is also used for producing age worthy and barrel matured varietal wine which is of a very high quality. The Kindzmarauli wine is a purple red coloured wine showing an inky coloured hue along the rim. When it comes to the aromas, the wine typically gives out aromas of spices and several black fruits and berries. On the palate, this wine gives the taste of sweet blackberry, black cherry confiture and berries initially. Mid palate the wine appears full and chewy, with slight rough tannins. This wine gives a great finish which is lively, acidic, lingering with sweet and fruity aftertaste. The Kindzmarauli wine typically goes really well with chocolates and cheese. This wine can be had with Gozitanravjul which is a cheese stuffed pasta, deep dish pizza and smoky barbequed dishes. This wine can also be had with peanut butter and jelly sandwiches.